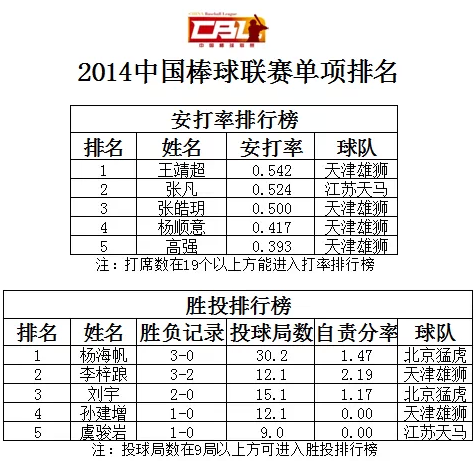 Chinese Baseball: Weekend Roundup, Other News! Hey, everybody! It's been a week since the CBL season ended, but I just wanted to give a few updates about what's going on in the world of baseball. Wang Jing Chao (王靖超), the IF from Tianjin Lions lead the league with a .542 batting average, going 13-24 with 8 runs and 11 RBIs. The 26 year old was originally signed by the Yokohama Bay Stars in 2009, but never made it to the main team. Too bad I don't know how to calculate wins above replacement, but he's probably up there! Few big names such as Robinson Cano, Jose Altuve and Evan Longoria will be going, but the rest is kind of... not so All-Star. You would expect Mike Trout or Clayton Kershaw to join in the fun, but I guess that's the best MLB can do. I'm kind of disappointed, but I understand the risk of injury and players being tired after the long season. Perhaps, they can learn a thing or two from NBA promoting the game internationally. The Japanese team is stacked with young exciting players such as Shohei Otani and Tetsuto Yamada. Otani has been on MLB's radar for a while and had a breakout year. He can throw gas and hit the ball pretty well too. On the other hand, 22 year old Yamada also had a break out year, hitting .324 with 29 homeruns and 89 RBIs. Also, the under 21 Baseball World Cup started a few days ago. You can read all about it here, and maybe catch a few online streamed games as well. China isn't playing in the tournament, so I won't be updating much about it (or at all). And finally, a touching movie that I found out about yesterday. "The Only Real Game" is about baseball being played in Manipur, which is a war torn place in Eastern India. I also can't wait to see the movie "Kano", which is about the Taiwanese team that went on to Koshien high school tournament in the 1920s. Before I leave, I've added a few blogs to the blogroll! Sparts Like Us - neat blog by Simon Collins. He's the international scorekeeper from baseball leagues around the world. The Baseball Continuum - another neat blog about international baseball. Love the simple design! Anyway, thanks for reading and have a great night! What's the meaning of life? Baseball!